If you are trying to sell your car without registration in Sydney NSW, can be a tough task. It depends what car you are trying to sell and for what price. If your car title or Rego is expired and trying to sell your car, we have put together some tips on how to sell your no or expired Rego car. If your car is not registered for more than 3 months then your registration will be automatically cancelled and has to be sold as unregistered. If the car needs a simple check and planning to sell the car with in few weeks, then go ahead with the plan of registering and sell it. Once registered it is usually easy to sell, because many people will not buy unregistered car. Buyers can think the rego is expired because something seriously wrong with the car. It is advisable to check with a registered mechanic before you buy an unregistered auto. Weigh your options. If you are looking to register, then pink slip, green slip and rego cost all needs to be considered. If it is a really old or damaged car, it’s better not to register the car and just sell it as it is to a wrecker. Getting the attraction from serious buyers is an important element when selling a no rego car. By marking the price down, you are attracting potential buyers. It is important that the buyer is aware that your car has no rego and the reason. You can always advise the buyer the reason for marking the price down is because the car has no rego and the buyer will be responsible to register the car and pay any dues. If the car is unwanted or really old of no use, the selling the car to your local wrecker near you would be a good option. Wreckers usually pay higher comparing to a car removal company. Wreckers buy the car and use the car for parts, while car removal company might scrap the car for metal. Selling a car with expired rego in Sydney NSW is allowed as long as it has a cleared title. 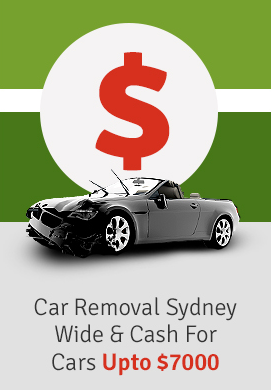 Metro Car Removal Sydney can help you sell you car for FREE, without any cost. Why pay someone to remove your car, when you can get cash instantly with Metro car removal. Call, ask for a quote and arrange pick up its that easy.